Thursday 22nd November 2018, 6pm to 8 pm at Thomas Goode, 19 South Audley Street, London W1K 2BN. 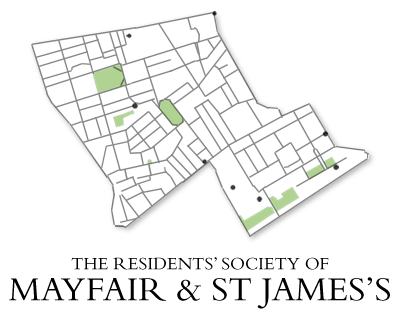 Speakers from Westminster Council, New West End Company and the Heart of London Business Alliance will explain how they tackle these challenges and will answer your questions. 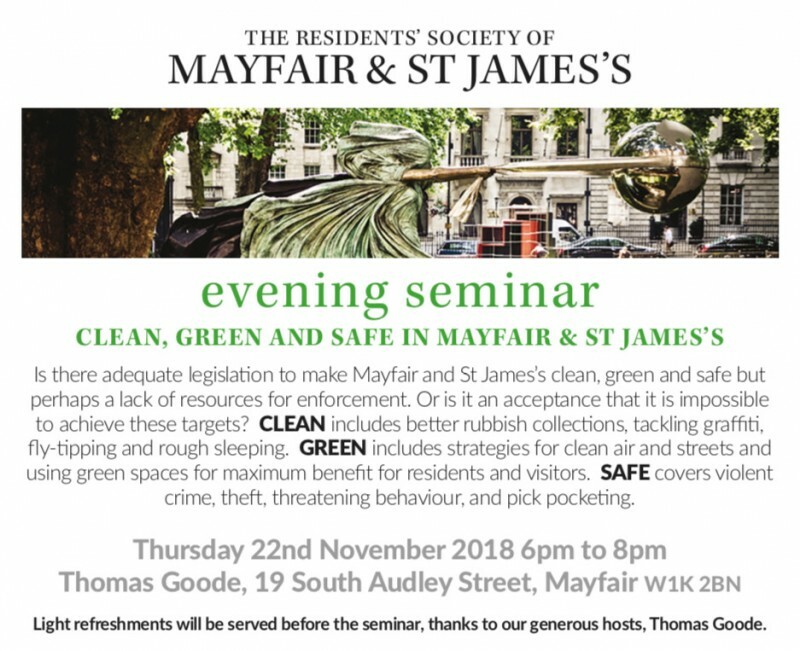 Free to attend for RSMSJ members, their guests and friends and members of the Grosvenor & Mayfair Residents Association. Register online here or contact Howard Evans on events@rsmsj.com or on 078590 776704. No tickers will be sent out but we will acknowledge your booking.